Today is the feast of the Holy Family. 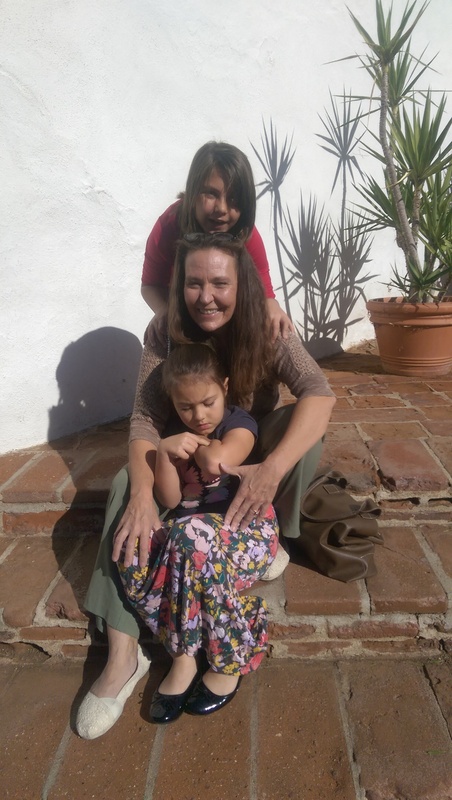 Although my family is not “perfect”, it is one that our Lord has placed me into, to work for Him, under all circumstances, no matter how hard, as He is the true head of the Family, through the Sacrament of Marriage. 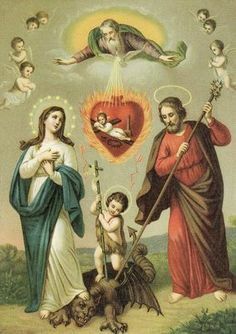 Life Messages: 1) We need to learn lessons from the Holy Family: The Church today, encourages us to look to the Family of Jesus, Mary and Joseph for inspiration, example and encouragement. They were a model family in which both parents worked hard, helped each other, understood and accepted each other, and took good care of their Child so that He might grow up not only in human knowledge but also as a Child of God. Jesus brought holiness to the family of Joseph and Mary as Jesus brings us holiness by embracing us in His family. 2) Marriage: a Sacrament of holiness. The Feast of the Holy Family reminds us that, as the basic unit of the universal Church, each family is called to holiness. 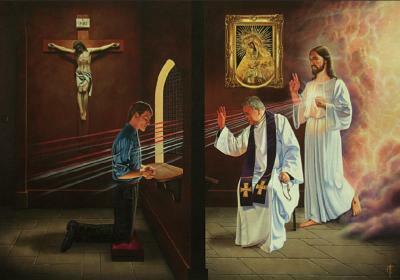 In fact, Jesus Christ has instituted two Sacraments in His Church to make society holy – the Sacrament of priesthood and the Sacrament of marriage. Through the Sacrament of marriage, Jesus sanctifies not only the spouses but also the entire family. The husband and wife attain holiness when they discharge their duties faithfully, trusting in God, and drawing on the presence and power of the Holy Spirit through personal and family prayer, meditative reading of the Bible, and devout participation in Holy Mass. 4) Let us extend the boundaries of our family: The homeless man or woman today in the streets of big cities, fighting the vagaries of weather, is part of our family. The drug addict in a den, or living in fear and aloneness this day, is member of our family. The sick person, dying, alone, dirty and maybe even obnoxious, is a member of our family. The person sitting in the prison cell for whatever reason is also a child of God, and as such, according to St. John, is a member of our family. All these, as well as the cherished intimate members of our family, are “family valuables,” and, as such, are worthy of safekeeping and reverence. The sticks are the crosses we are to carry and the stones are the hearts of men, without the fear of God in them…. Man can grind up & destroy EVERY weapon on the face of the planet and he will still kill his own brother using his own stone cold heart, by his own selfish hand. The problem society has today isn’t guns, its disdain for God, disdain for the Truth, disdain for anything holy, right and just. When God is removed from “society”, as has been being attempted, society loses Fear of the Lord, and fear of the Lord holds all society in check. Fear of the Lord balances society so it is not tossed into chaos but remains in His peace. Without Fear of God, there isn’t any respect for anyone’s life. That loss of respect for life, is the problem we have today. Period. The entire world is in need of a conversion of heart. The devil will always blame God, blame the innocent and blame all he can on what is good while creating as much chaos as he can, pushing man into a frenzy to enact more laws when the ones he truly needs have already been written on his own heart. The devil will always try to push all society into the pit of hell. A heart of stone does more killing, physically, psychologically, emotionally and spiritually than any weapon man can create. The entire world is in need of a conversion of heart. Pick up your cross with our Lord’s most Sacred Heart and carry it with Him again and smash that heart of stone that seeks what is never attainable in a heart of stone, replacing it with the attainable heart of flesh. LOVE! Our Lady of Fatima said “In the end, My Immaculate Heart will triumph”. Look to her as your role model to ensure our Lord will remove the stone and create an Immaculate Heart in you. Are you concerned with the shooting today in San Bernardino? Are you concerned with terrorism? Are you concerned with all the many evils taking place in our world today (the times in which we live)? Well, do something about it! Do all of the above and more and in no particular order! I Hail, sacred Heart of God’s great Majesty! Hail, sweetest Heart, my heart saluteth Thee! With great desire, O Heart, I seek for Thee, And faint for joy, O Heart, embracing Thee; Then give me leave, O Love, to speak to Thee. IV For Thy death’s sake which Thou didst bear for me, When Thou, O sweetest Heart, didst faint for me, O Heart most precious in its agony, See how I yearn, and longing turn to Thee! Yield to my love, and draw me unto Thee! VIII O Heart of Love, who vanquished is by Thee Knows nothing, but beside himself must be; No bounds are set to that sweet liberty, No moderation,–he must fly to Thee, Or die he must of many deaths for Thee. XIV Behold, O Jesus, how it draws to Thee! O call it, that it may remain in Thee! See with what large desire it thirsts for Thee! Reprove it not, O Love; it loves but Thee: Then bid it live–by one sweet taste of Thee! 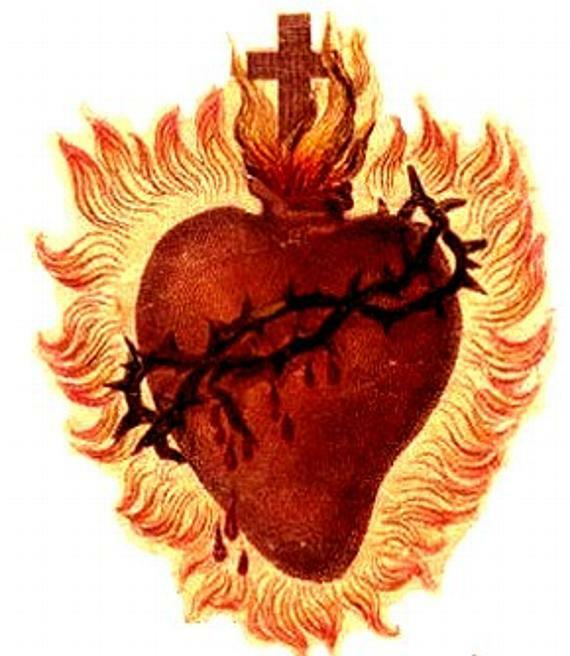 Our Lord has shown me great mercy since my Conversion of Heart began. I pray for the ENTIRE CHURCH to take advantage of the Year of Mercy and “Return to your First Love”, that being our Lord. COMPLETELY! To be here in order to experience His love, however, is first of all the fruit of His grace. As the Apostle Paul reminds us, God never ceases to show the richness of His mercy throughout the ages. The transformation of the heart that leads us to confess our sins is “God’s gift”, it is “His work” (cf. Eph 2:8-10). To be touched with tenderness by His hand and shaped by His grace allows us, therefore, to approach the priest without fear for our sins, but with the certainty of being welcomed by him in the name of God, and understood notwithstanding our miseries. 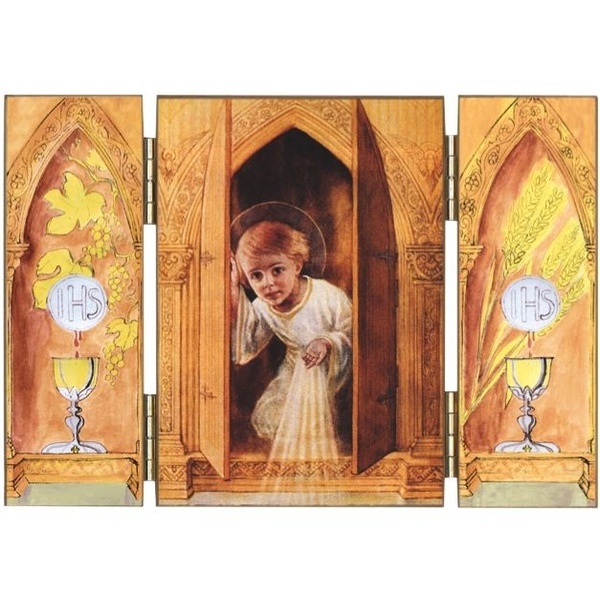 Coming out of the confessional, we will feel God’s strength, which restores life and returns the enthusiasm of faith. 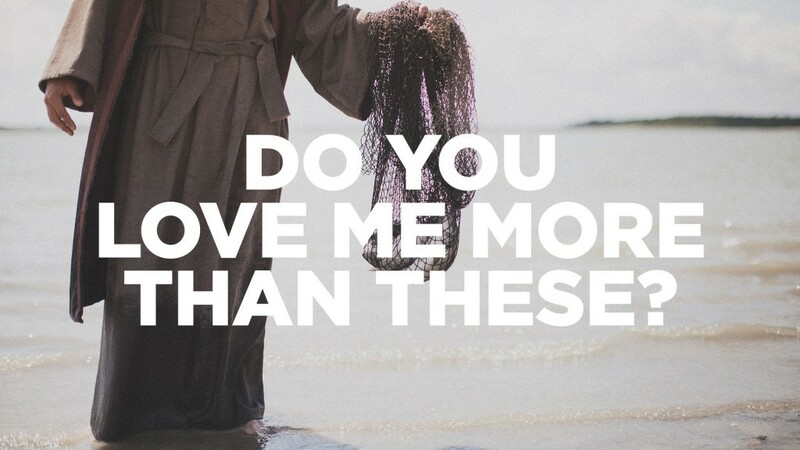 There is the love of the sinful woman, who humbles herself before the Lord; but first there is the merciful love of Jesus for her, which pushes her to approach. Her cry of repentance and joy washes the feet of the Master, and her hair dries them with gratitude; her kisses are pure expression of her affection; and the fragrant ointment poured out with abundance attests how precious He is to her eyes. This woman’s every gesture speaks of love and expresses her desire to have an unshakable certainty in her life: that of being forgiven. And Jesus gives this assurance: welcoming her, He demonstrates God’s love for her, just for her! Love and forgiveness are simultaneous: God forgives her much, everything, because “she loved much” (Luke 7:47); and she adores Jesus because she feels that in Him there is mercy and not condemnation. Thanks to Jesus, God casts her many sins away behind Him, He remembers them no more (cf. Is 43:25). For her, a new season now begins; she is reborn in love, to a new life.